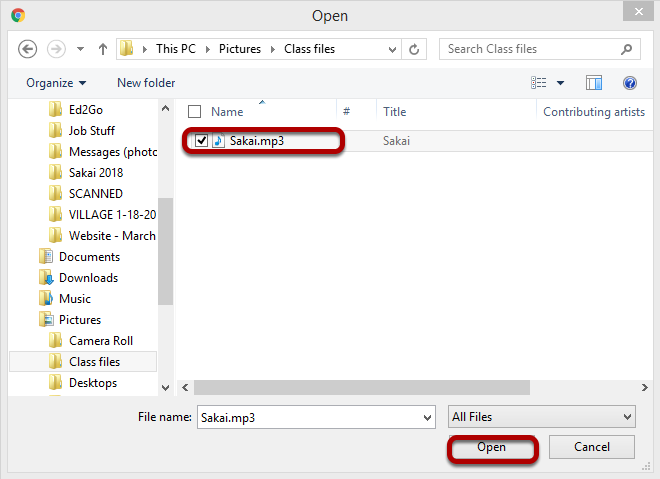 Sakai Guides and DocumentationSakai Complete User Guide LessonsHow do I embed an audio file on a Lessons page? Instructors can add an embedded audio at any point in a Lessons Page. Click Add Content, then Embed Content on Page. Zoom: Click Add Content, then Embed Content on a Page. 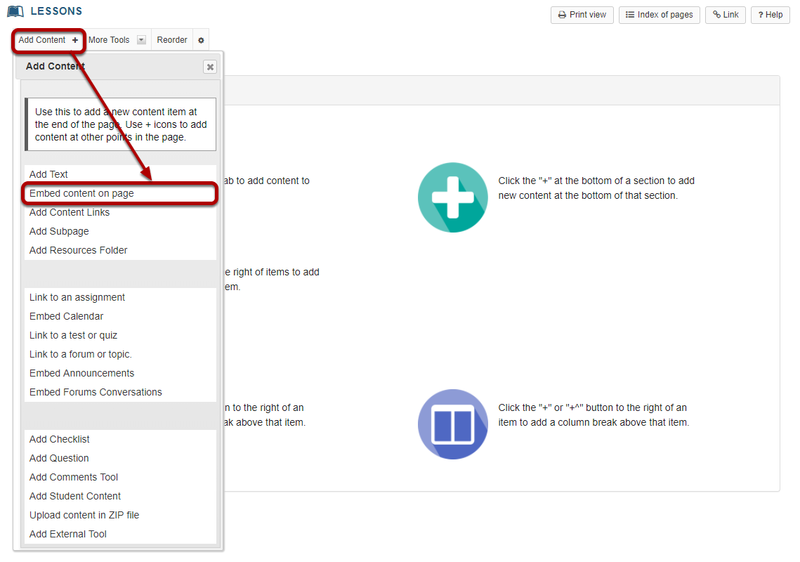 From the Add Content drop-down menu, select Embed content on page. Locate the audio file, select it and click Open. Note: The file you have selected will appear listed above the Choose Files button. The audio file will display embedded on the page. To add a description of the audio file, click on Edit. Add a description of the audio file, then click Update Item. This returns the display to the Lessons page with the embedded audio and its description. Notice the file location in Resources. Zoom: Notice the file location in Resources. Note: The audio file is not streamed to the user. The larger the audio file, the longer it will take for the audio file to load on the Lessons page. Prev: How do I embed a YouTube video on a Lessons Page? Next: How do I add a website link to a Lessons page?